Getting to the start of the Descenders group ride was difficult enough. Friday evening I met the enemy and it kicked my backside. Early beers and red wine while staying up way too late, continuing to imbibe, was a recipe for disaster when considering a ride, especially one that was slated for Mt Soledad repeats. I slowly made my way to the 8 am start and was greeted by a bunch of peppy riders, ugh. At the start were Voris, Yi-Shiou, Steve K, Tony O, Ernst, Hodges, Claus, Kevin (new rider) and me. We picked up Oleg along the 56 bike path and then met Matt B at the coast. A solid group ready to tackle Soledad. 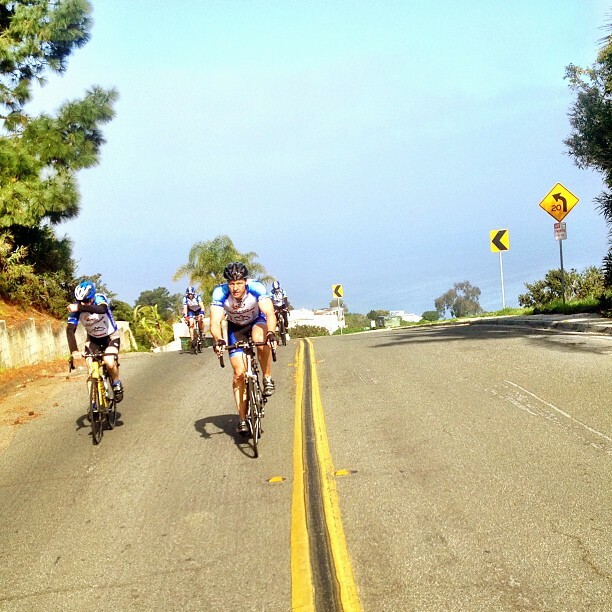 We also met up with a triathlon friend of Eric R. Tyson was out doing some road work so he joined us until we hit PCH. It was a cool day, rather foggy at the coast but still great conditions for a ride. 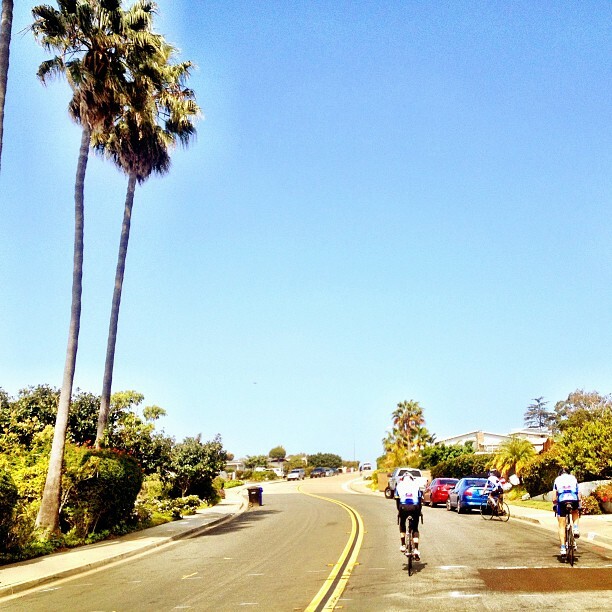 We rode the bike path and looped up Carmel Country before heading back to Carmel Valley Road and over to PCH. 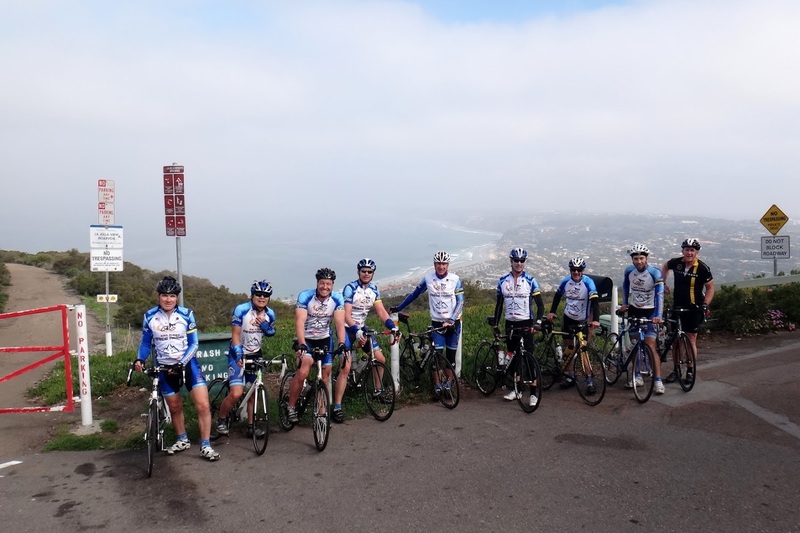 The group stayed together climbing Torrey Pines outside but we lost Mike H, who had to make a phone call and Kevin, who had to fix his heart rate monitor. 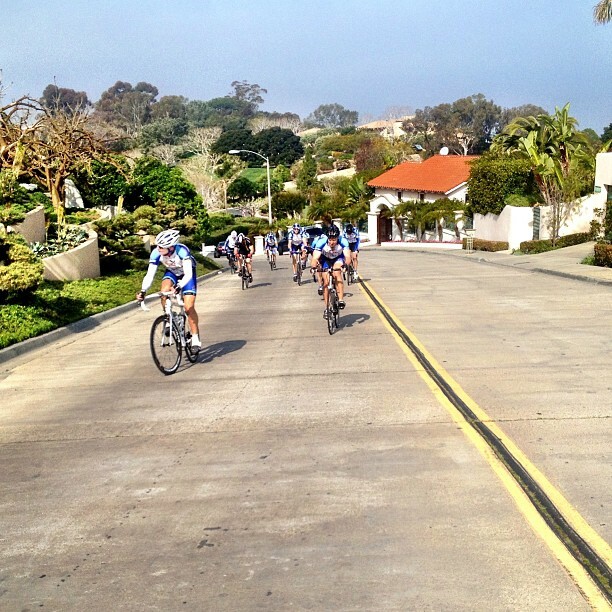 The rest of us motored over to La Jolla Shores with a huge surging push past UCSD where I about fell off the back. The descent past the oceanography pier and into La Jolla was also quick. We regrouped before the start of the climbs. Hodges and Ken cut over and caught up to us as we were climbing. 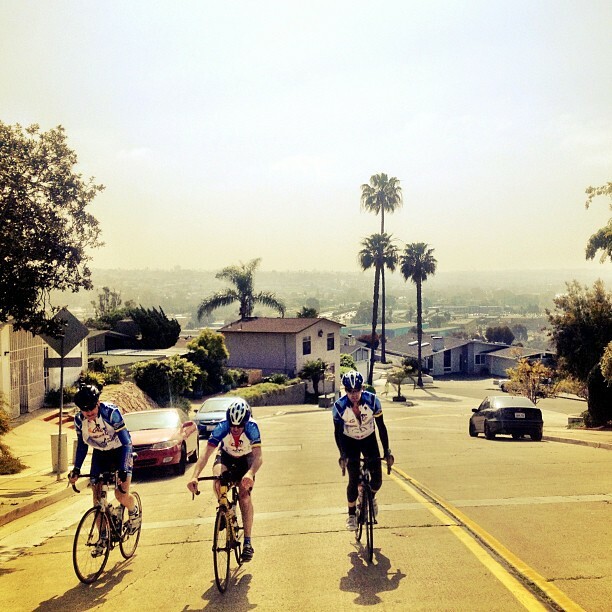 Oleg led us up a series of turning, twisting and steep roads to get us to Soledad Park. The climbing was challenging and everyone was glad to get to the top. First of four climbs! Oleg had us descend down Nautilus St and then come back around for climb two up Country Club Dr. Hodges broke his chain at the start of the climb. Oleg and Ernst provided some technical assistance and then caught up to the group. Mike eventually fixed his chain and got in over 100 miles for the day. He will be ready for BWR in a few weeks. As we neared the top of Country Club we spotted a number of women out doing some exercising in the trees by the golf course; not sure what their game plan was but I had to take a picture. Oleg and Ernst got a chuckle out of it anyway. We had to go through the gates but made our way back to Soledad Park. 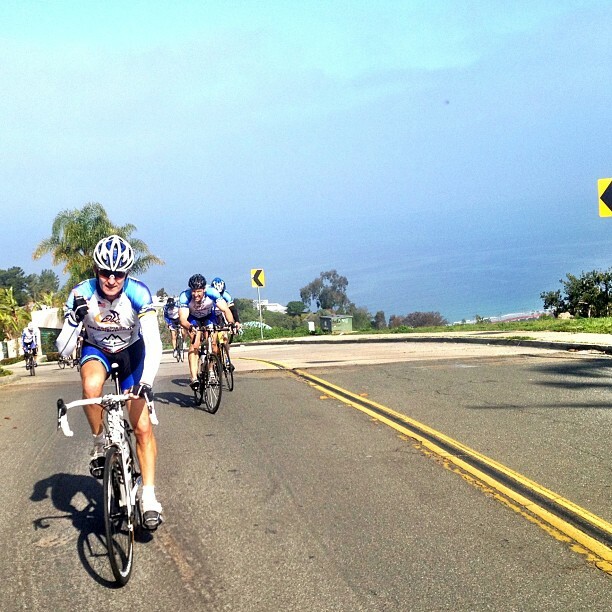 Fortunately for me I had to ride to Torrey Pines high school for a track meet so I got to bug out after two climbs. 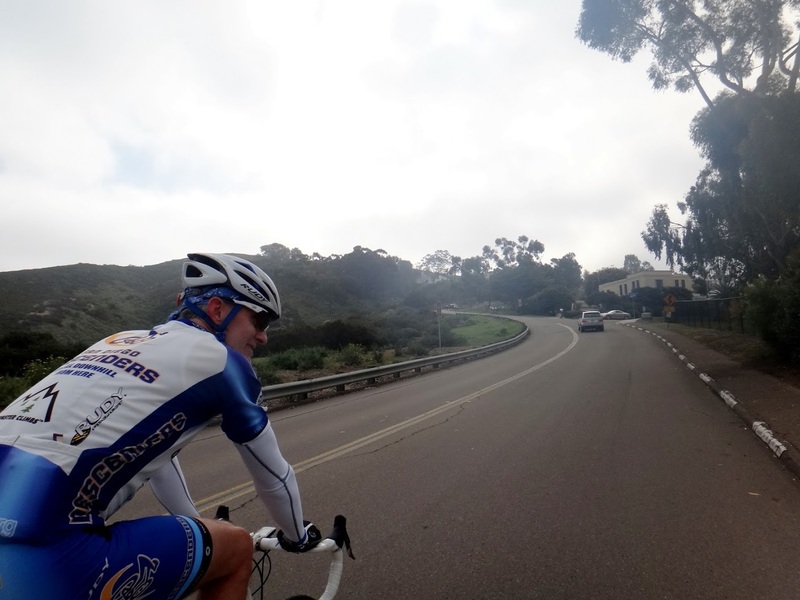 Kevin joined me as we rapidly descended Via Capri, made our way back to Calle Del Oro to climb up toward UCSD. 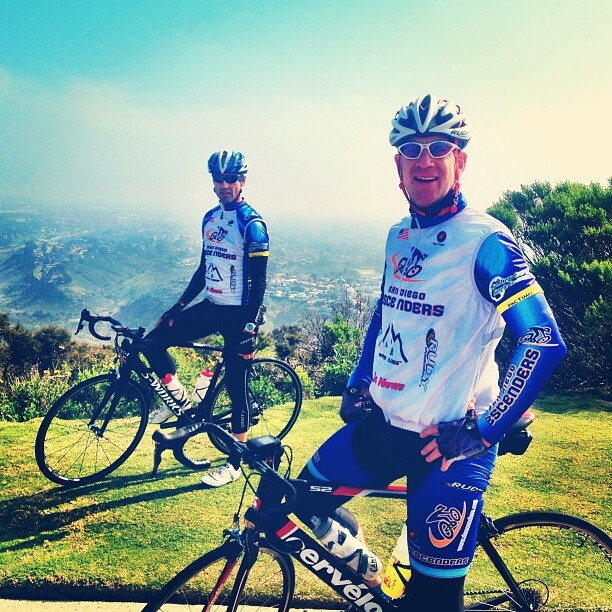 We reversed our Torrey Pines and bike path route until I split off for TP high school. After watching my girls run I finished my ride home, only 53 miles but over 4,500 feet of climbing. 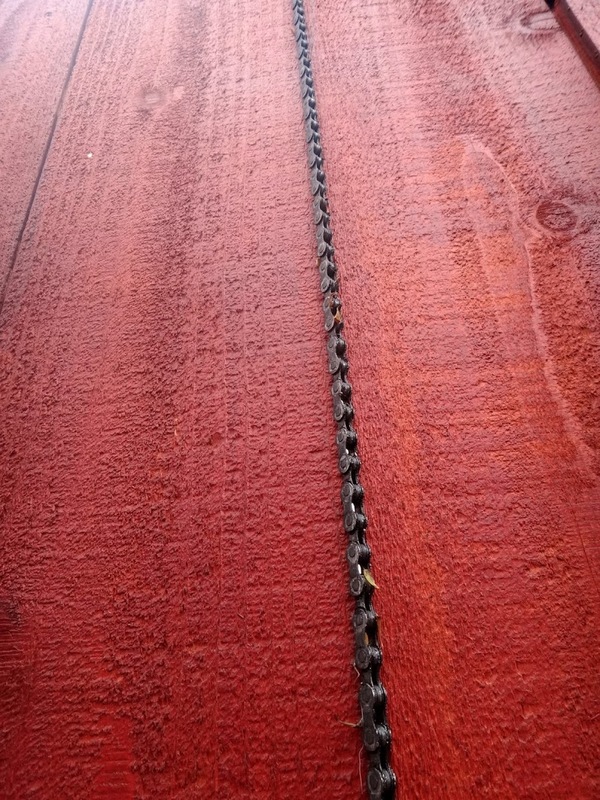 I am sure Oleg has more details from the other Soledad repeat climbs. Here are two photos. I will post the album to Shutterfly. We did have a very nice ride as Rob described. 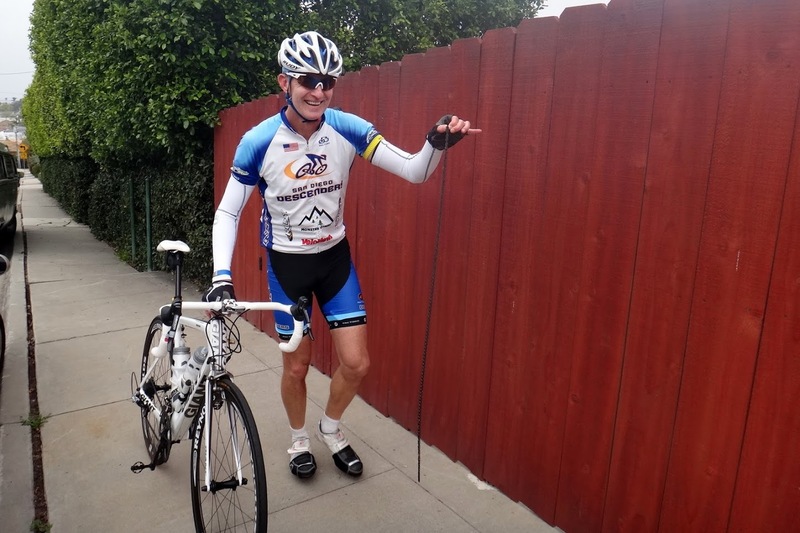 Hodges broke his chain on the lower slopes just before start of Country Club and had to stop to fix it and try to catch us on the next lap – somehow we missed him so he ended up doing the rest of it solo. Only 3 riders made it all the way to the final loop up Pacifica – some turned away early, and Klaus destroyed his derailleur. Carnage everywhere!